The 2014 Women in Astronomy workshop, at which the Pleiades Awards were launched. CAASTRO has won equal top honours in the 2014 Pleiades Awards, which recognise Australian institutions’ efforts to advance the careers of women in astronomy. 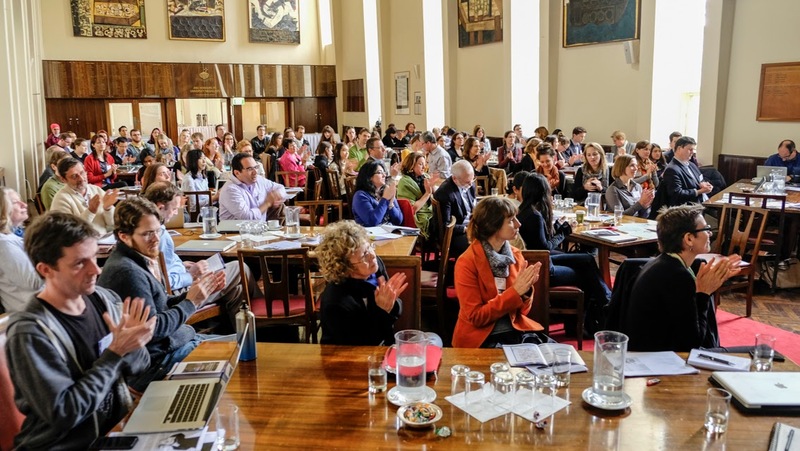 The awards were launched in August 2014 during the Australian Women in Astronomy workshop. Inspired by the UK’s Athena Swan program, they are given by the Astronomical Society of Australia (ASA) to organisations that take steps to improve gender equity in the workplace. Just 20% of Australian astronomers are women. And this number hasn’t changed in ten years. Women make up 33% of new astronomy PhDs. But that’s a fall from ten years ago, when the figure was 37%. “These figures have caused the astronomical community to really look at its practices,” said Dr Lisa Harvey-Smith, Chair of the ASA’s Chapter for Women in Astronomy. This year the Pleiades Awards were offered at two levels, silver and bronze. The two winners at the silver level were CAASTRO and the Australian Astronomical Observatory. Organisations had to submit a case to be judged, and were assessed against stiff criteriathat involved monitoring the conduct of the organization, making plans for improvement, and publicly demonstrating a commitment to best practice in the field. “Just setting up the awards has prompted a number of organisations to take steps they hadn’t before—things like gender equity committees,” says Dr Harvey-Smith. “CAASTRO has been committed to gender equity since its inception. This has been put into practice through measures such as scheduling meetings so as not to clash with people’s family commitments, allowing jobs to be taken part-time wherever possible, and offering child care at major meetings,” said Kate Gunn, CAASTRO’s Chief Operating Officer. The constellation of the Pleiades is also known as the ‘seven sisters’, making the name a fitting one for the new award.